The Valiants Memorial. Busts depicting individuals who served Canada during the wars which fundamentally shaped Canada, City of Ottawa, Ontario, Canada. 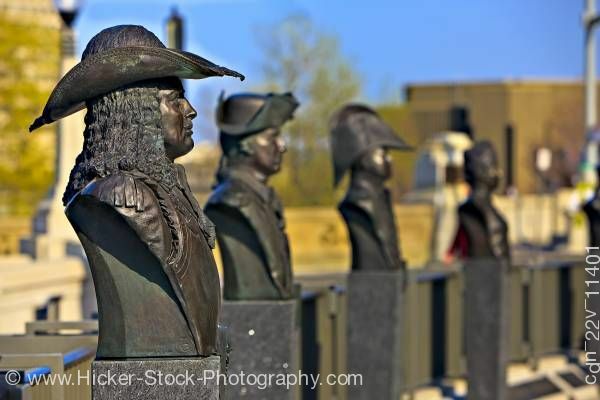 This stock photo show 4 busts with Louis De Buade, Comte de Frontenac bust in the foreground and other war heroes out of focus in the background.